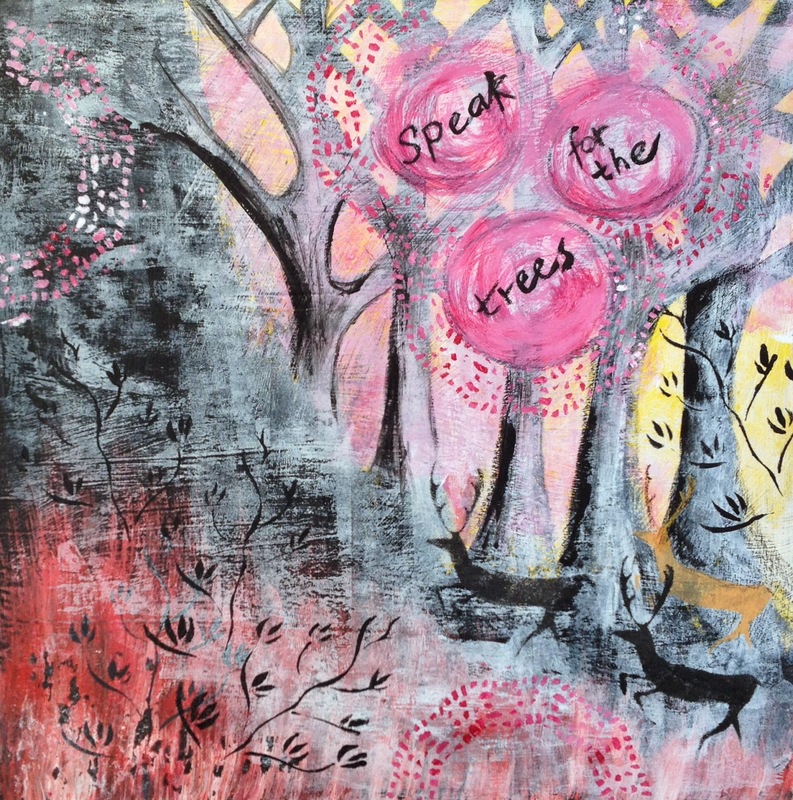 Learning to let go and paint like a child again is what Mati Rose McDonough encourages her students to do. My dining room table is lost under art supplies and my poor family are being very long suffering about it. Or maybe they like eating in front of the TV ! I find the creative process of painting totally absorbing. I could do this all day. Best not to have an idea in mind or to try to achieve anything specific. We are encouraged to use stencils, collage, acrylic paints, ink - whatever we like. By creating a "lush backgrounds" as Mati calls them, you can build more detail on the top. Let the painting speak to you, embellishing and pulling out shapes and colours as the process unfolds.